For four years I teetered on the brink, paralyzed, face to the wind, tears running down my cheeks, KNOWING that I could not walk that tightrope. When I was diagnosed with cancer, I thought triumphantly, surely now I will cross that chasm! My life depends on it. Yet still I hesitated. The river raging at the bottom of the abyss hissed and whispered. So far down. One foot on the rope, the other on the all too familiar cliff’s edge, I still could not move. At the end of cancer treatment I was fatigued beyond understanding. Six months of aggressive chemotherapy, two major surgeries and seven weeks of daily radiation treatment made even the effort of lifting my ribs for another breath almost impossible. Often I literally could not move. Yet I also felt restless, anxious. This is not living, this is not why I accepted treatment. This is not what I worked so hard for, I cried, frustrated. I adopted Sloth as my totem. I lay on my back on the warm grass, a broom handle held between my hands and feet. Yes, I could definitely cross the chasm as a sloth. A different time, I saw myself as an ant. Felt myself as an ant. Crumbs of dirt were the size of boulders. 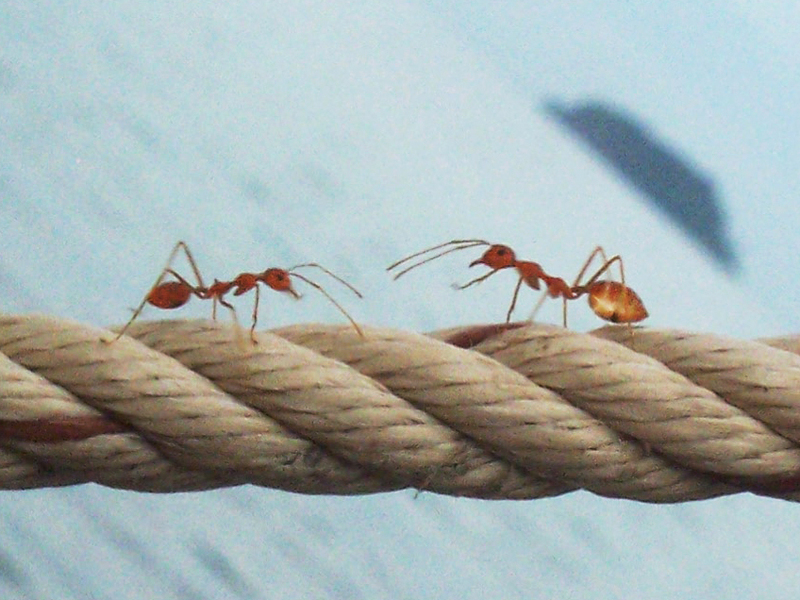 If I were an ant, the rope would be wide, wide, wide, like a super highway. Yes, I could run across it! I could cavort, even. I waved my antennae affirmatively. This entry was posted in Uncategorized and tagged Breast cancer, Cancer, Chemotherapy, Guided Visualization, Living, Shape Shifting, TIghtrope by TruthTeller. Bookmark the permalink.